Those leaders who want to create a healthy organization or “culture of success” are motivated (or should be motivated) to attain a genuine camaraderie with all people in an organization. When a group of people have a common vision, maintain a sense that they are all in it together, and have compassion for each other then there is nothing that cannot be accomplished. Literally nothing. At this juncture, in addition to many great spiritual teachings of varied doctrines, we also have a foundation of great insights in science and engineering and access to those examples and methods. We are free from the major obstacles of tyranny and oppression, we can study the vast body of science, have access to a technology architecture that connects nearly all human beings and nearly all recorded knowledge and we can carry out our endeavors together through a system of free enterprise that can be of mutual benefit and service to everyone. Free enterprise is an economic system in which we are free to exchange goods and services for profit in competition and largely free of state control. Within this we labor together in free and democratic society. Somehow the details work themselves out. Ironically the keyword in all this is “free”. By free we do not mean the price, we mean the participation. We participate in enterprise freely, because we have something mutually beneficial to gain from the situation. So far this has proven to be the best system because: A.) it works. B.) it benefits everyone involved. As long as we have A and B we should make the most of the opportunity of free enterprise with no regret. No personal, social, civil or spiritual regret. I do not advocate for analysis for the sake of analysis, or because analyzing these topics is interesting, or because the analysis makes us sound intelligent, or because it allows us to exploit. At the heart of it : we analyze people within an organization for benefit to that organization - and that is also the people. It must be both both. Analysis is only supported in an enterprise when it is useful to that enterprise but analysis is only supported by the subject of analysis when it is useful to the subject of analysis. Useful analysis helps us all understand current reality and take the right actions now to achieve an optimal outcomes : an outcome of joint benefit to managers, employees, shareholders and possibly society. A continual reduction in tenacious organizational problems and continual reinforcement of a culture of success is the ultimate result of useful analysis. Disciplined action (as opposed to frantic thrashing) is the benefit of useful analysis. Motivated by sense of powerful understanding for each other, each individual (be they leader or employee) may be able to reach out from their limited influence to achieve our common vision, conveying the organization to new reaches and repairing parts that have degenerated. A deeper understanding of People Analytics leads you to the following purpose : to discipline our thinking to cause positive change for universal benefit. CHROs should pay attention see that their analysis is useful to all the stakeholders they serve : be they shareholders, leaders of the organization or employees. Employee too should be provided the outcomes of analysis with an intent to benefit : in the form of increasing mutual insight with leaders of organizations, increasing motivation and increasing ability to reduce tenacious problems. I therefore urge that we be diligent in educating all parties about People Analytics – to seek an integrated understanding of suggestion and method of arriving at the suggestion. If suggestions are provided absent a strong understanding of the method of arriving at the suggestion then the suggestion may not have the desired effect. It is one suggestion among many views, and no motivation may exist to apply changed action. In our process of People Analytics, we must examine our organization thoroughly and use our methods as a mirror in which to see reflected the defects in alignment on vision, ability and motivation. Both the leadership of the organization and employees must be motivated to participate in the feedback process. There are causes and conditions that we can tend to to support this. Our concept of a healthy organization is not something physical. Therefore the spread of a healthy culture depends on increasing the depth of understanding of the benefit of new actions to provide strong motivation to pursue those new actions. When we are are able to reduce the defects in how we think about people in an organization a healthy culture will naturally increase. Thus, effecting positive transformations in organizations through observation and feedback situation by situation, subdivision by subdivision, manager by manager, and employee by employee is the method we will employ to effect the change we desire. Unlike manufactured goods it should be fairly obvious that culture is not a tangible entity, that it cannot be sold or bought in the marketplace or physically constructed. Having said that, I will deploy a physical metaphor of manufacturing to help increase our ability to improve the health of our organization. Also while we can't buy a healthy culture, we can go to a marketplace to buy tools to support our understanding of our defects. We should pay attention to get the fundamentals down for ourselves, and go to the marketplace to enhance or supplement those fundamental abilities. 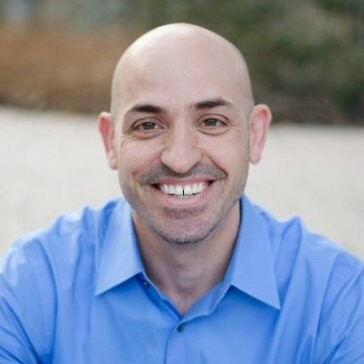 Mike has 15 years of experience building People Analytics from the ground up as an employee at the founding of Merck HR Decision Support, PetSmart Talent Analytics, Google People Analytics, Children's Medical (Dallas) HR Analytics, and PeopleAnalyst - the first People Analytics design firm - working with Jawbone, Otsuka and several People Analytics technology startups. Mike is currently the VP of Product Strategy for One Model -the first cloud data warehouse platform designed for People Analytics.